Rev. 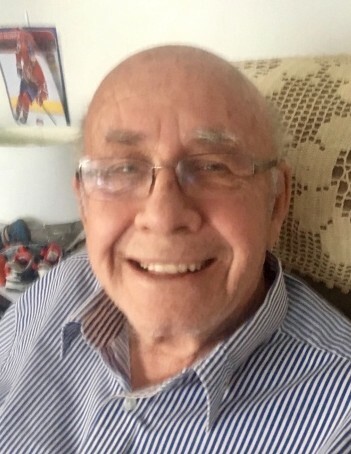 Ken Buchan of Yorkton, Saskatchewan passed away on Thursday, January 31, 2019 at the age of 81 years. Kenneth George Buchan was born on May 15, 1937 in Yorkton, SK to Bill and Nora Buchan. He will be missed by his wife Vanessa of 60 years, his children Denise (Sean), Janice, Paul (Sandy), Mike (Tanya), Joe (Jennifer), Sarah (Brendan), Jon, Kauiss, Angelina and son-in-law Frank Harder. Ken also leaves behind his grandchildren Kenneth, Vanessa, Andrew, Hilary, Christine, Jeffrey, Jodi, Draven, Lachlan and numerous great grandchildren. He will also be missed by his brother Lowen and sister Sandra Anderson as well as numerous nieces, nephews and other extended family members. He was predeceased by parents William (Bill) and Nora and brother Keith. Ken was raised on a farm east of Yorkton until he attended high school. He and his older brother boarded together in Yorkton while attending high school. After high school he worked as a lineman for Sask Power before joining the army. After his honorable discharge he decided to serve in a different way and began a 45 year career in ministry of faith. Ken became an ordained Anglican minister in 1974. His career took him and his family to many places across Canada. Although he was intrigued with every place he lived he developed a passion for first nation’s ministries and its’ people. Ken will be greatly missed and fondly remembered by all. A Memorial Service was held for Kenneth on Monday, February 4, 2019 at 10:30 am from the Springside Baptist Church in Springside. Interment followed in the Springside Town Cemetery. Should friends so desire, donations in memory of Kenneth may be made to the Heart & Stroke Foundation or the Springside Baptist Church Memorial Fund.